Sing out! It’s good for your health. One of the things I try to do on this site is to let you know of resources that have helped me and could help you in your walk with God–and with others. Enfolded in God’s Arms by Lisa Aré Wulf is one of the books I think you should look into, especially if you feel stuck in life. The delicate flowers on the cover set the tone for the book. The fragile vase is a hint at the approach Lisa uses throughout the book. From the beginning, Lisa calms the reader’s fear of digging deeper into their hurts. 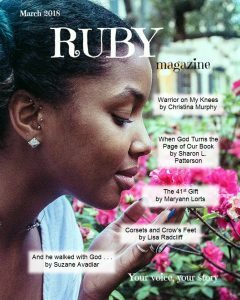 In the middle of each entry, she includes a section titled “Be Still for a Silent Moment with God.” I appreciated this section because it reminded me not to keep reading without listening to what God was speaking to my heart. Instead, I stopped and reflected on what I was reading and how it applied to me. Enfolded in God’s Arms helps readers start the process of introspection, which leads to healing. It’s a great book for those who “are experts at putting on a good face.” Lisa uses a tender approach. I’ve never heard her voice, but I felt like I could hear her encouraging me. Although Lisa sprinkles personal examples throughout the book, I wanted more of them! I wanted to know how she handled her struggles specifically. In my opinion, sharing more of her experiences would have helped the reader to dig even deeper. It’s a personal preference that does not detract from the book in any way. 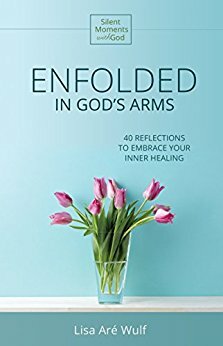 I recommend Enfolded in God’s Arms by Lisa Aré Wulf for anyone who experiences struggles they “can’t seem to shake.” Anyone who is starting in recovery circles, including 12-step programs, would benefit from Lisa’s book. It is non-threatening, yet challenging and transforming. It would be ideal for a small accountability group. It also makes a sweet gift to those who need a long embrace. To learn more about Lisa, visit her Web site. To purchase a copy of Enfolded in God’s Arms, click on the Amazon logo below. Come alongside…. How can you benefit from Lisa’s book? In which areas of your life do you need to get unstuck? Which parts of yourself have masks? Post your comment in the box below that says, “Leave a Reply.” Remember, you can comment anonymously. This Christmas is especially meaningful to our family. It will be our first Christmas with our three children, whom we adopted in August of this year. We have been trying to point them to Christ during this joyous season—they haven’t had that influence in their three-and-a-half years in separate foster homes. And most importantly, the manger scene where baby Jesus came into the world. As we’ve read to them, their eyes have filled with wonder and delight. They continue to look around the house in awe of a holiday that truly is more than lights and commercials. Everything we have done—and will continue to do—celebrates Jesus. I know it is a turning point in their lives. It is for me too. Explaining the real meaning of Christmas to a child—our children—has re-ignited a passion in me for the holidays. I find myself getting lost with contentment in the bundles of joy God has brought to our little family. In many ways, it’s my first Christmas. Is this a glimpse of what Mary felt on her first Christmas with the Christ of Christmas? Did she gaze at the marvel of God in her arms? Was she silenced by the Son of God on her chest? Did she whisper in His tiny ears that He would save us from our sins? 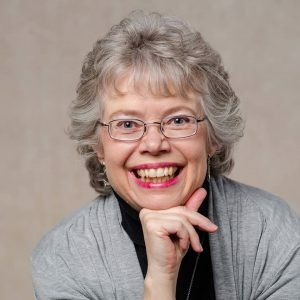 Did she celebrate Jesus—God with us? Truly, it was her first Christmas. Throughout history, many families have celebrated their first Christmas—not one filled with lights and commercials but one that lifts up Jesus—God’s first and only Christmas to the world. Forever, we will share the merriest story of all. Forever, we will treasure all these things in our hearts (Luke 2:19). Thank you, Jesus, for that first Christmas. Come alongside… Tell us about your first Christmas celebrating Jesus. What are your traditions? Parts of me want change; other parts resist it. Sometimes, we bring change on ourselves. Sometimes, change finds us. New careers. Illness. Family dynamics. Moving. Any number of life events can produce mixed feelings within us. We welcome new adventures, but we don’t want to give up our routines. We like new challenges, but we don’t want to be too uncomfortable. We see great opportunities, but we don’t want to make the effort. 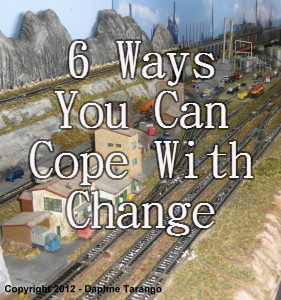 How do we cope with change? How can we balance the push into the unknown with the pull of the familiar? C – Call to God for wisdom. With any life event, some things need to change; others don’t. Sometimes we focus on the wrong things. Other times, we resist changing anything. When we have the courage to ask God to show us the things that truly need to change, we are better positioned to allow Him to work in those areas. And we’re free to continue enjoying the things that don’t need immediate change. He alone can teach us to identify our immediate growth areas (Psalm 119:66; Psalm 139:23). H – Have a support system. We’ve never been here before, so it’s best to get all the advice and instruction we can (Proverbs 19:20). But it’s not all about getting advice. When we find people who are experiencing the same things, we relate to each other’s struggles. Sometimes words aren’t even necessary—they get it. Having people who are also on the other side of the transition or life change can give us valuable insight on how to handle the ups and downs of our new life. Sometimes we look at others who are further down the path, and we want to be like them—immediately. We forget that they weren’t always there themselves. They too had to go through initial stages of their own changes. Of course, we can learn from them, but we are not them. We might say, “That is where I want to be,” but God might have a different way of getting us there. (Proverbs 16:9). N – Note the ups and downs of the journey. We each have a story to tell. No one else can tell our story. Keeping a record of both the big and little steps of the journey helps us not to lose sight of where we started, where we are, and where we’re going. It doesn’t have to be a formal journal—it can be as simple as making and collecting our own “memorabilia.” Along the way, we can pull out our notes and share with others how God has helped us each step of the way (Psalm 102). G – Give thanks to God. He never changes! We can rely on Him when everything around us is in flux. “He is the same yesterday and today and forever” (Hebrews 13:8). What a relief! We can also thank Him for giving us the gift of change. Yes, the gift! When God says it’s time for us to change, He knows we are ready to move to a new level in Him. Thank you, God, for believing in us. E – Enjoy the ride! Let’s celebrate our small victories. Laugh at our mistakes. Look for glimmers of hope in our new realities. After all, we serve the God of all hope. We’re going to screw up. We’ll have moments of sheer frustration, anger, disappointment, and discouragement. It’s okay—we can feel those feelings too. We will cry, but we will also laugh (Psalm 30:5b). We will grieve, but we will also dance (Psalm 30:11). How are you coping with it? Come alongside… What changes are you going through? How can you use these tips to help you? Whom do you know who needs to hear these words today? Will you share this with them? I just had to get away. Remove myself from the situation. I was starting to get frustrated and irritable–just plain perturbed. The sarcasm, complaining, and bad-mouthing was getting to me. Now, I too was doing it. No matter how hard I tried, I caved. I walked away quietly, hoping the commotion around me was enough of a distraction that no one would notice my gradual absence. Deep breaths in and out, in and out. I wish this were an isolated incident, but if I’m honest, I’ve needed to give myself a lot of time-outs lately. I don’t view it as something bad or discipline for something I’ve done; rather, a gift. My Father meets me in time-out. He leads me to rest (Mark 6:31). He quiets me with His love (Zephaniah 3:17). He speaks. He lets me catch my breath and sends me in the right direction so I can respond–not react–with renewed strength and wisdom. Yes, I need time-outs. I want time-outs. The gift I give myself. Come alongside… How are you dealing with your frustrations? Do you need to give yourself a time-out? Will you? The doctor’s voice ushered in reality for us. 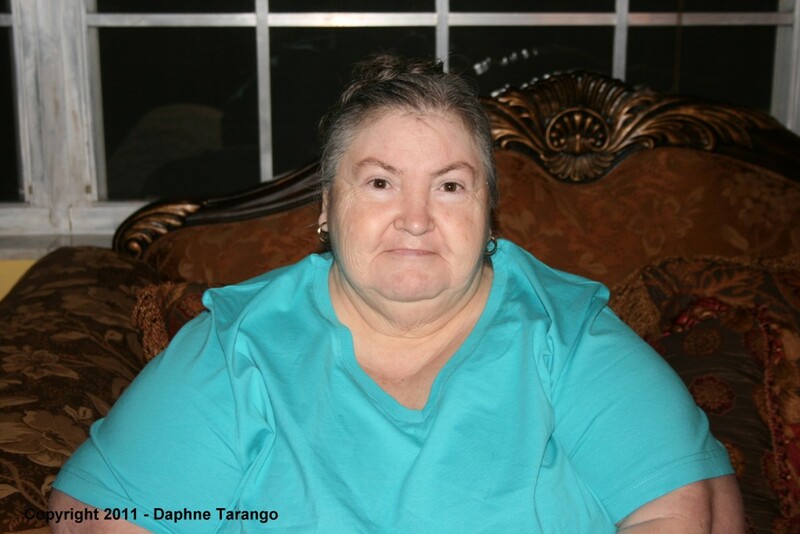 Our NeeNee–the matriarch in the family–was dying. Doctors resuscitated her numerous times that morning–the day before Thanksgiving. It was now our decision: To sign or not to sign the DNR form. My husband, his step-mom Tracy, and I. No one else in the family had made it to the hospital yet. The three of us looked at each other, tears streaming down our faces. We knew NeeNee wouldn’t have wanted it any other way. She was ready to go home. I walked behind the doctor to the room where NeeNee lay, Tracy beside me. My husband left to pick up family members. Our NeeNee lay motionless in the bed. I held her left hand while Tracy held her right hand. We cried alongside her, prayed over her, but most of all, we loved on her. She was non-responsive, even before the doctors disconnected the machinery. But we knew she could hear us. Periodically, we watched her vitals, slowing with each passing moment. A chaplain came and prayed with us. I caressed her hair and rubbed my index finger on her cheek. Every once in awhile, I leaned in to kiss her and tell her I loved her. Her vitals would spike and then slowly decline again. I held her hand and remembered the day I met her–a beautiful smile that welcomed me into her family. She knew no strangers and loved all who came around her. She was the family historian–a storyteller who could take a 5-minute tale and turn it into a 30-minute epic. She remembered everyone’s birthday and anniversary and freely gave out of the little she herself possessed. Her heart was toward her family. Now her heart was failing her. She was tired and ready–ready to leave this world of physical pain and enter into paradise with her Savior. Her sister, mother, and father would be waiting for her there too. And yet, the angels tugged at her. We tugged as well. Outside the room, I heard a noise. Turned around to see some of our family members. “They’re here,” I said. I bowed my head and cried. She waited. They arrived. She let go of the rope. Quietly, peacefully, she entered eternity. No more pain, no more exhaustion. God, in His mercy, extended her the ultimate gift–not only the freedom from pain and exhaustion, but also the gift of Himself. But why grant me such a gift? Why would God grant me the gift of ushering a beautiful soul into His presence? To witness the passing of a Godly woman–a daughter, a sister, a wife, an aunt and friend to many? Why would He have me share this life-changing occasion with Tracy? Why? The love that took NeeNee home is the same love that shone down on me that day. It’s the same generous love God shines down on me every moment, every day (Psalm 84:11). God’s perfect love transcends suffering and pain–NeeNee’s and mine. In death and in life, we play tug-of-war with angels. In death and in life, I want to let go of the rope. We love you, NeeNee, and we’ll see you soon. Come alongside… In what ways are you playing tug-of-war with God? How can you let go of the rope? Daphne Tarango is a participant in affiliate programs with Amazon Services LLC Associates Program, DaySpring, Church Source, Hazelden, Christian Strong (via Conversant and ShareASale). These advertising services are designed to provide a means for sites like DaphneWrites.com to earn advertising fees by advertising and linking to said merchants. Some images and articles may contain links to products on merchant sites. Should you choose to make purchases through those links, please understand that I will receive a small commission. Please do not feel like you need to use these links to make any purchases. The links are only for your convenience. Thank you. Powered by WordPress and WordPress Theme created by Torch Designs.